International football has taken care of any Premier League & Championship fixtures this weekend but that just means we can all concentrate on the lower leagues & the great games they have to offer. The cream certainly seems to be rising to the top in League One where our 9/1 pre season tip Charlton Athletic sit 5 points clear at the top whereas League Two is looking highly competitive & hard to call a winner at this stage. We've a couple of picks from the bottom league & another from League One this weekend. Down in League Two, Cheltenham entertain Dagenham & Redbridge at Abbey Business Stadium. The Robins currently sit one point off the playoff places mainly due to a good home record this season with three wins in their five league matches with only one injury time defeat to high flying Morecambe. In the last seven days they have registered 3-1 away victories to Wycombe & local rivals Bristol Rovers in the Johnstones Paint Trophy & League respectively. Dag & Red have suffered a difficult start to the season with six defeats in their eleven league matches & current form has seen only a 95th minute winner against Crewe as their sole victory in their last six matches in all competitions with all the others ending in defeats. So we see Cheltenham pushing themselves further into the playoff fight with a home victory against an average Dag & Red side at the attractive odds of 133/100. Also in the bottom league we have Paulo Di Canio's Swindon hosting Hereford at the County Ground. 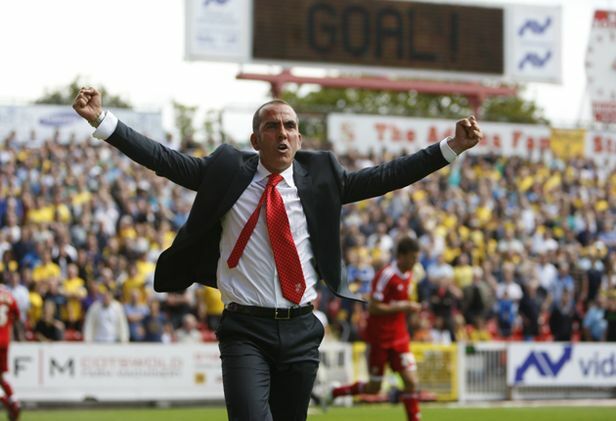 Swindon have been inconsistent this season with five wins & six defeats in their eleven league matches. But at home they have won four out of five, scoring 13 goals in the process at an average of 2.6 goals per game. Opposition Hereford have had a disastrous season so far only sat above Plymouth in the final relegation spot with seven defeats in their eleven league matches & on the road in all competitons their record reads four defeats & three draws from seven. We expect Hereford to setup for an away point but an early strike from any of the in form goalscoring trio Matt Ritchie, Mehdi Kerrouche & Alan Connell could see the floodgates open & we see value in backing Swindon -1 on the handicap market at best odds of 7/5. League One sees Huddersfield at home to Stevenage. Despite losing a number of influential players in the summer, Huddersfield under the guidance of the impressive Lee Clark are still unbeaten in the league. They have won five & drawn six of their eleven league matches & their games at the Galpharm Stadium have seen three victories out of five. Visitors Stevenage after back to back promotions, sit in mid table with 13 points & three victories so far. They do struggle for goals and points away from home though with only one victory in their five matches. Huddersfield will see this match as a perfect opportunity to jump into the automatic promotion spots & close the gap on league leaders Charlton at odds of 4/6 that also provide punters with a safe accumulator pick at a decent price.